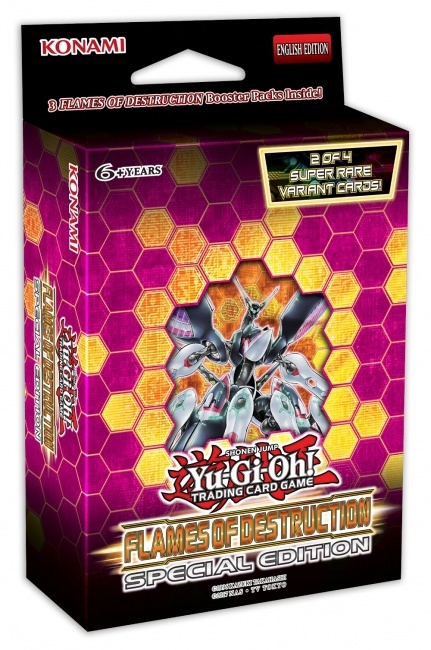 Konami Digital Entertainment will release Flames of Destruction: Special Edition for the Yu-Gi-Oh! Trading Card Game on June 8. The Yu-Gi-Oh! 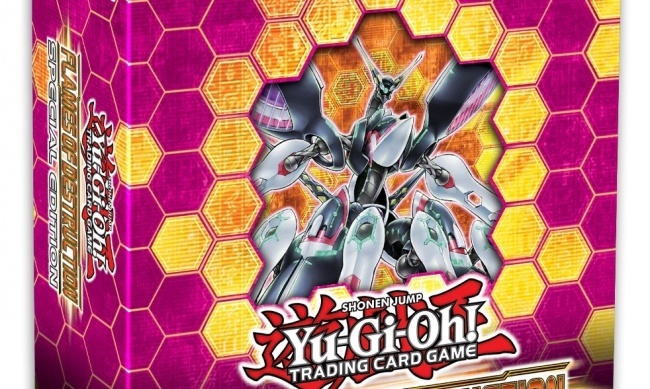 Flames of Destruction Booster Set, which debuts on May 4, includes lots of cards for established deck themes, as well as introducing a brand-new Link Monster theme (see “The 'Flames of Destruction' Are Heading for 'Yu-Gi-Oh! TCG'”). The Flames of Destruction: Special Edition pack includes 3 Flames of Destruction Booster Packs, 1 of 2 Super Rare variants of sought-after cards, and 1 of 2 Super Rare preview cards from the Summer 2018 booster set.